● Green Suit replaces level 1 costume, Chipped Sword &amp; Tiny Top Hat.● Blue Suit replaces level 10 costume, Neon Ninja starter sword &amp; Think Tank (hat).● Red Suit replaces level 20 costume, Candy Barb starter axe &amp; Pithed Helmet.● Dark Suit replaces Dark Ranger costume, Protectors Purpose (weapon) &amp; Mind Jar (hat).● Fierce Suit replaces Winter Boomeranger costume, Thymed Turkeynator (weapon) &amp; Intellect Fortress (hat).● Use Sebastian / Slow Sebastian for the Hero Horse.● Use Short Shift Shanker in Uncommon Styles for the Giants Sword.● Hero Bow replaces Starter Bow.● Light Fairy Ally replaces the Arctic-Moth Butterfly.● Dark Fairy Ally replaces the Brown-Moth Butterfly. 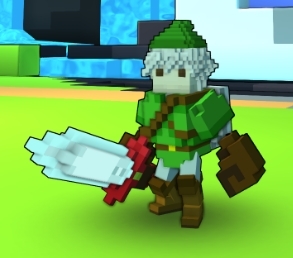 ● Green, Blue, Red, Dark &amp; Light Hero Costumes each with a unique weapon and hat to match! ● Hero Horse "Epona" Mount! ● All items included in the mod pack alter Uncommon Weapon Styles / Hats for ease of use! ● Progressive Mod Pack! This mod pack covers all costumes for the Boomeranger. The progress from level 1 to 20 visually becomes stronger with each costume! 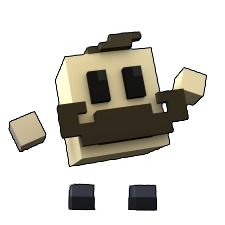 ● Be the Hero Trove deserves and tell your friends "I am the Lonk".